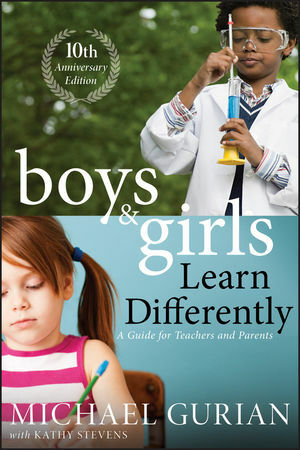 In this profoundly significant book, author Michael Gurian has revised and updated his groundbreaking book that clearly demonstrated how the distinction in hard-wiring and socialized gender differences affects how boys and girls learn. Gurian presents a proven method to educate our children based on brain science, neurological development, and chemical and hormonal disparities. The innovations presented in this book were applied in the classroom and proven successful, with dramatic improvements in test scores, during a two-year study that Gurian and his colleagues conducted in six Missouri school districts. This edition includes new information on a wealth of topics including how to design the ultimate classroom for kids in elementary, secondary, middle, and high school. Michael Gurian is a pioneer and leading authority in gender issues worldwide. The New York Times best-selling author of The Wonder of Boys, The Minds of Boys, The Purpose of Boys, and The Wonder of Girls, he is cofounder of the Gurian Institute, an active research and training organization in the fields of education, family development, and gender studies. Kathy Stevens is executive director of the Gurian Institute and coauthor of five books with Michael, including The Minds of Boys.